OPEN LETTER TO DPP: Where are your balls, Justice Chibita?! In my estimation, a major part of our crisis today is the result of moral cowardice. Cultural leaders have settled for material comforts, and are blinded by the empty trappings of royalty thereby forgetting their subjects in whose interests they ought to reign over their respective territories. Exceptions to this general trend prove the rule. Summarily, we are a society without guardians. The shadow of one man and his ruling cabal looms large over the country’s individual and collective conscience, courage and alternative leadership. Seemingly fearless people who intimidate others while driving on the road, abusive partners who terrorize their families and dependants everyday, the people who run torture chambers and bullies at the workplace all shrink into oblivion at the slightest mention or thought regarding the political question that every Ugandan must, one way or another, contend with sooner rather than later. This scourge of moral cowardice is alive even in our country’s supposed temples of justice. In fact, this was the theme of the venerable Prof Joe Oloka-Onyango’s inaugural lecture titled “Ghosts and the Law”, the best exposition I have read regarding the Political Question Doctrine in Uganda’s Judiciary. 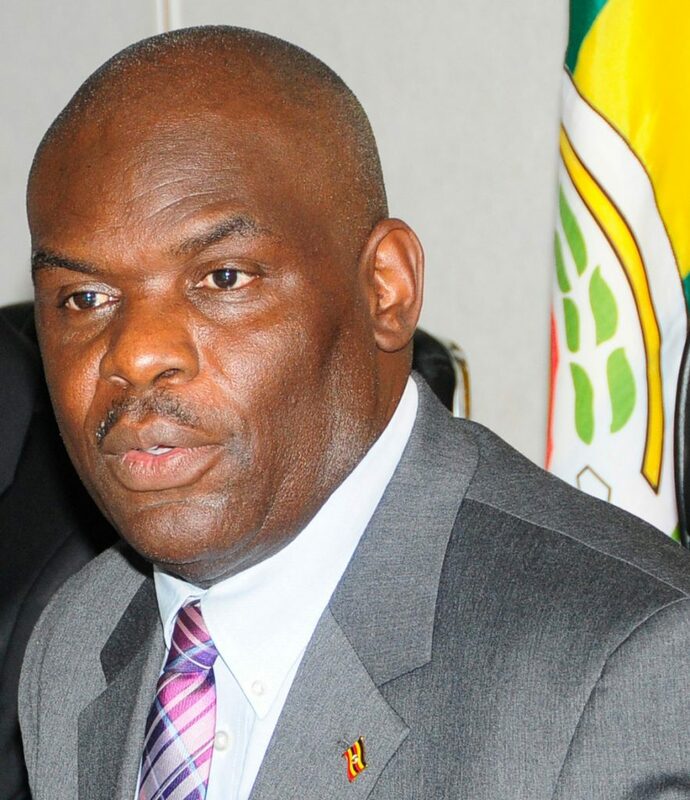 In a shameless admission of professional ineptitude and a glaring exhibition of a lack of institutional independence, a man who qualifies to be a Judge of the High Court, holds a constitutionally-established office, is guarded by a platoon of armed counterterrorism officers and is fed, clothed and housed by the Ugandan taxpayer laid bare what many Ugandans know or have suspected, that is to say, the Office of the Director of Public Prosecutions is enkoni (a cattle herder’s grazing stick) in the hands of Gen Yoweri Museveni which he uses to persecute political opponents while at the same time letting off those who should feel the full weight of the law. His name is Mike Chibita. “(5) In exercising his or her powers under this article, the Director of Public Prosecutions shall have regard to the public interest, the interest of the administration of justice and the need to prevent abuse of legal process. Yet we have seen the whole DPP pleading to be allowed to exercise his powers! Are we living in a Taliban-controlled territory where the principles of natural justice are mere suggestions that may be adhered to and/or ignored at will? Of all the ongoing issues hurting Ugandans such as land grabbing, the theft of public resources, state-inspired violence, electoral malpractice and the naked impunity that goes with it and the latest wave of torture, extrajudicial killing of Yasiin Kawuma (Arua) and Ramadhan Walyendo (Bugiri) and the savage beating of journalists by the security forces, Chibita’s office has sanctioned the charge of treason currently being preferred against over thirty Ugandans. Dear Reader, the offence of treason is provided for under Section 23 of the Penal Code Act, Chapter 120 of the Laws of Uganda. 1) Any person who—levies war against the Republic of Uganda;unlawfully causes or attempts to cause the death of the President or, with intent to maim or disfigure or disable, unlawfully wounds or does any harm to the person of the President, or aims at the person of the President any gun, offensive weapon, pistol or any description of firearm, whether it contains any explosive or destructive substance or not;contrives any plot, act or matter and expresses or declares such plot, act or matter by any utterance or by any overt act in order, by force of arms, to overturn the Government as by law established;aids or abets another person in the commission of the foregoing acts, or becomes an accessory before or after the fact to any of the foregoing acts or conceals any of those acts,commits an offence and shall suffer death. (2) Any person who forms an intention to effect any of the following purposes—to compel by force or constrain the Government as by law established to change its measures or counsels or to intimidate or overawe Parliament; or to instigate any person to invade the Republic of Uganda with an armed force, and manifests any such intention by an overt act or by any utterance or by publishing any printing or writing, commits an offence and shall suffer death. (3) Any person who advisedly attempts to effect any of the following purposes—to incite any person to commit an act of mutiny or any treacherous or mutinous act; or to incite any such person to make or endeavor to make a mutinous assembly, commits an offence and is liable to suffer death. In a trial for treason, the burden of proof rests with the State which must prove the same beyond reasonable doubt. Suffice to say that it is a settled principle of prosecution in the Commonwealth that before any charge can be proffered against someone, there must be probable cause. “Probable Cause” denotes sufficient reason based upon known facts to believe a crime has been committed. Can the DPP tell us which ingredients of treason were present in the Arua case for which thirty five citizens are going to be prosecuted in a matter whose maximum penalty is death? How much of our tax shillings are going to be wasted in this bogus, unfounded, outlandish and ludicrous case? Why should line institutions of state be used in the shameless service of dictatorship and the selfish whims of Museveni who wants to rule Uganda until death? Shouldn’t all members of the legal profession—and indeed the citizens of this country be outraged and take steps to arrest this development?! Lest we forget, it is under the leadership (or lack thereof) of the current DPP that the State lost interest in a number of cases whose facts are far graver than the instant case of Kyagulanyi Ssentamu and Others. I know it’s cliché but in the end, we will remember not the words of our enemies, said ML King, but the silence of our friends. Are you, Mike Chibita, a friend or enemy of the Ugandan people? Edmund Burke reminds us that the only thing necessary for evil to triumph is for good men to do nothing. It is my sincere hope that in this sea of injustice, despair and frustration that the Ugandan polity finds itself in, you can muster the courage to withdraw the spurious indictment for treason that you have issued against innocent Ugandans whose real crime has been to stand up tall and speak boldly against Yoweri Museveni and his ruling cabal who think Uganda is their birthright and private estate. It is not the noisy armed escorts, privileges and perks that the taxpayer gives you that make you DPP; it is your wherewithal to not only do justice but ensure that justice is seen to be done that make your tenure in that seat worthwhile. Find your balls, My Lord!